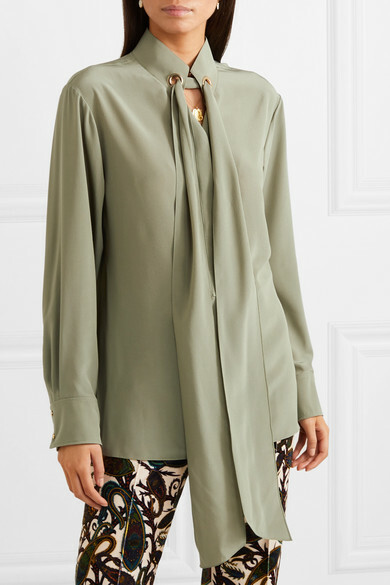 The spirit of the '70s is often at the heart of Chloé's collections, and for Resort '19 Natacha Ramsay-Levi continues to reference the decade. 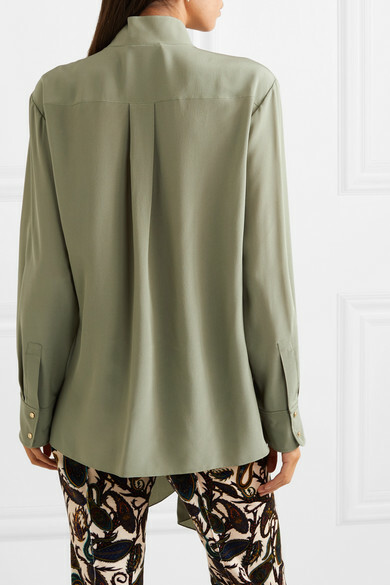 This blouse is cut from fluid silk crepe de chine in a green shade she likens to plants. 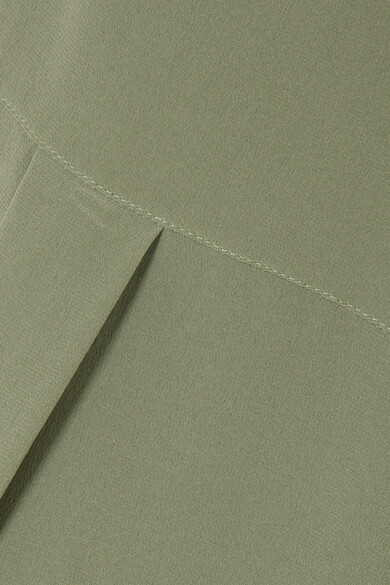 It's detailed with languid neck ties strung through the Parisian brand's signature gold rings. 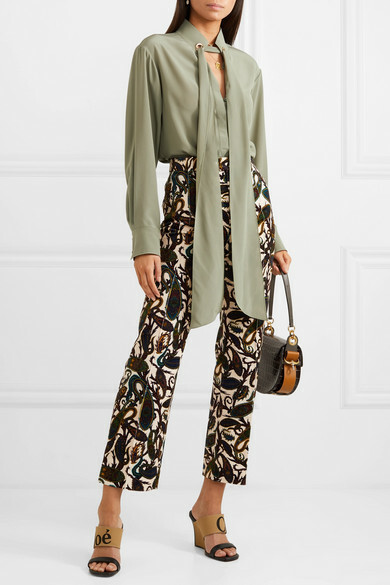 Shown here with: Chloé Pants, Chloé Shoulder bag, Chloé Sandals.